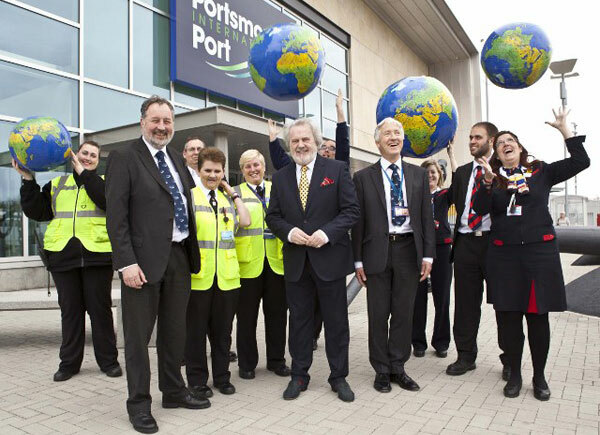 One year after doors to its brand new terminal were opened there’s plenty to celebrate at Portsmouth International Port. Passenger and vehicle numbers are up, with managers more positive than ever about the long-term future of the Port and its contribution to the local economy. There was an increase of more than twenty two thousand passengers (22,124) coming through the Port in March, compared to figures from the same month in 2011. There was also a large rise in the number of vehicles – more than five thousand (5,048) extra travelled through Portsmouth International Port in March 2012, compared to the previous year – great news for the local economy. Portsmouth International Port is owned and operated by the City Council.The new terminal was part of a £16.5 million investment in new passenger facilities. Councillor Mike Hancock, CBE MP, Executive Member for the Port, commented, “When we took a decision four years ago to invest in new passenger facilities at the Port we could never have known what really lay in store for the world economy. A year since it first opened, the decision to build a new terminal has proved to be the right one – improving the service we can offer to ferry and cruise ship operators, and helping the Port to stay competitive during testing times. Portsmouth International Port continues to make a significant contribution to the local economy, it is with a sense of pride that I watch the business go from strength to strength”. Independent research has shown that the Port is directly responsible for 805 full time equivalent jobs in and around the City. When the Port’s spending is taken into account a total of 1595 jobs rely on it in the local area. The Economic Impact Study concluded that the Port is crucial to maintaining a vibrant local economy in Portsmouth. Amongst changes made at the Port, one of the most noticeable has been its name. A year ago the “Continental Ferry port” became “Portsmouth International Port”, to reflect the changing nature of its business. 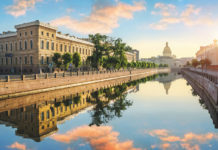 The Port is known as Britain’s best connected cruise and ferry port, and this reflects the ever increasing number of cruise ships and global shipping companies also using the famous South Coast facility. Recent research from Brittany Ferries shows that Portsmouth International Port really does have a global reach. Records show that passengers from 98 different countries used the Port during April 2012. Citizens from as far away as Australia, China and Chile used Portsmouth Port as their gateway to the UK. Just an hour and a half from London, Portsmouth enjoys enviable access by road and rail. By road, the A3 connects Portsmouth and London, and the M27/A27 brings the rest of Britain within reach. National Express and Greyhound operate coaches from destinations across the UK to Portsmouth, often changing at London Victoria. Portsmouth International Port offers a four-storey 24-hour car park, otherwise try Gunwharf Quaysm or find other secured parking with Secured Car Parks. By rail, SouthWest Trains operates services between London Waterloo, London Victoria and Cardiff to Portsmouth Harbour and Portsmouth & Southsea train stations (nationalrail.co.uk). 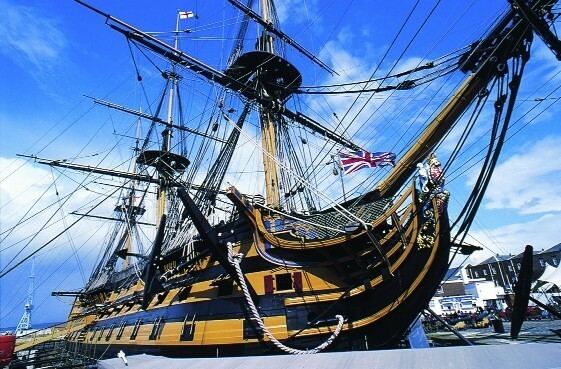 The absolute must-see is Portsmouth Historic Dockyard. It’s the world’s oldest dry dock, and you can step on board HMS Victory (Nelson’s flagship at Trafalgar) and HMS Warrior 1860, the first iron-hulled warship. The ticket price also includes a Harbour Tour. Get a seat on the top deck for this 45-minute boat trip that gives glimpses of the dockyard you can’t access by foot. Plus, as this is still the home of the Royal Navy, you’ll often see visiting ships or one of the UK’s aircraft carriers. If you’ve already booked your cruise for next year, schedule a stop in here, too, as the new Mary Rose Museum will be open and the hull of Henry VIII’s Tudor warship – raised from the depths in 1982 – will be back on display. 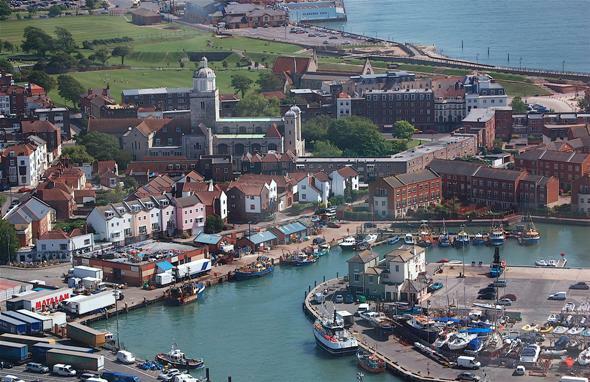 But Portsmouth isn’t all about kings and captains; it’s got a great literary history too. Over at 393 Old Commercial Road you’ll find Charles Dickens’ Birthplace Museum and City Museum is home to a fantastic, and free, exhibition ‘A Study in Sherlock’ celebrating Sir Arthur Conan Doyle, who worked as a doctor in the city, and wrote classics such as A Study in Scarlet and The Sign of Four here. Gunwharf Quays is one of Portsmouth’s newest attractions, great for shopping, eats and drinks, and Spinnaker Tower, at 170m the tallest viewing tower in Britain. On a clear day you can see for 23 miles out across the Solent, and ships in the harbour take on a toy-like quality. Look down and you’ll see the city’s outline, clearly showing its status as the UK’s only island city, and historic hotspot Spice Island, so named as it was the landing point for the spice trade. This area, known as Old Portsmouth, was once the site of many a press ganging, but today its cobbled streets, cafés and charming pubs mark a good starting point for the Millennium Parade, a chain set in the pavement, which leads you out along Southsea seafront. You’ll find all sorts of attractions here, from the Blue Reef Aquarium to Southsea Castle dating back to 1544, and the D-Day Museum featuring the magnificent Overlord Embroidery. A glimpse of the city’s Victorian heyday can be seen in its two piers, South Parade Pier and Clarence Pier. From the latter it’s a short walk across Southsea Common to Palmerston Road, home to department stores and high-street favourites. Nearby Marmion Road is full of chocolatiers, designer jewellery and boutiques, while at Albert Road vintage delights and antiques await. For high street names it’s got to be Commercial Road (particularly arcade Cascades) in the city centre, and for designer bargains you won’t beat Gunwharf Quays’ outlets. 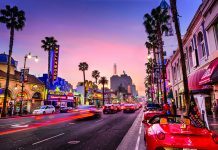 As the sun sets, most like to relax in a waterfront bar, but if you prefer to be entertained there’s The New Theatre Royal and The Kings Theatre, or live music venues Wedgewood Rooms, Portsmouth Guildhall and the Pyramids Centre. Hidden gem The Tenth Hole does one of the best breakfasts going, and you can always work it off afterwards with a game of pitch-and-putt overlooking the seafront. Fish and chips always taste better by the sea. Pick some up from Excell (291 London Road) or The Chippy (84 Clarendon Road) then go and find a sunny spot, maybe on the beach, or on top of the Round Tower. At Gunwharf Quays you’ll find chain eateries which are great for a sunny evening on the terrace overlooking the marina and harbour. Likewise, Port Solent has well known names in a waterfront setting. Upmarket dining can be enjoyed at Restaurant 27 – the pumpkin and ricotta risotto is divine – 8 Kings Road and the Sealevel Restaurant. Local beers like Invincible, Frigate, Type42 and Admiral, courtesy of Portsmouth brewery Irving & Co, are available at many of the city’s pubs. Try the One Eyed Dog on Elm Grove, or for a taste of Old Portsmouth, the Spice Island Inn and Still and West on Bath Square. Albert Road has some quirky cafés and bars which, come the evening, get busy, as does Gunwharf Quays – Bar 38 and The Old Customs House are always packed. Modern options include the Marriott Portsmouth , which boasts an AA Rosette restaurant; Holiday Inn Express Gunwharf Quays,right at the heart of the action; and the reliably high-quality Hilton Portsmouth. For something with a touch of history try Birchwood Guest House, a B&B in a lovely Georgian property; or the Queen’s Hotel, dating back to 1861. De Vere New Place is a Grade I listed manor house set in gorgeous parkland, and across the harbour in Fareham the Solent Spa and Hotel offers indulgent pampering in exquisite surroundings. For longer stop-overs the Langstone Hotel, located 8 miles from the port, boasts a 2 AA rosette restaurant and extensive leisure facilities ensuring a relaxing start to your cruise holiday. Plus, guest can enjoy free transfers to the terminal with plenty of time to spare for embarkation. Luxury boutique hotels include The Clarence and Stattons, both just moments from the Southsea seafront. 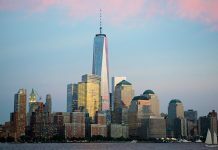 Don’t forget to ask about cruise-and-stay hotel deals, which often include parking and transfers to the cruise terminal. Castles, stately homes and sandy beaches are all within easy reach. Thanks to its catamaran, Wightlink will transport you to Ryde on the Isle of Wight in just 22 minutes. Stay here and enjoy mile upon mile of sandy beach, or head off to Carisbrooke Castle, famous as the one-time prison of Charles I and now under the care of English Heritage. English Heritage also looks after Osborne House in East Cowes. “It is impossible to imagine a prettier spot,” said Queen Victoria when she first saw the sand-coloured Italianate palace built for her, Prince Albert and their nine children by Thomas Cubitt (of Buckingham Palace fame) in the 1840s. The legendary Round the Island Yacht Race takes place on 25 June 2011, and a great place to watch it is from Alum Bay, which overlooks the infamous Needles and is home to multi-coloured sand and fossils. Back at Portsmouth Harbour, take the waterbus to Gosport, home to the Royal Navy Submarine Museum. The chance to step on board submarine HMS Alliance is one not to be missed – unless, of course, you don’t like enclosed spaces, in which case you should steer clear and perhaps try Explosion! Museum of Naval Firepower. Chichester is an easy drive from the city, and a show at the world-renowned Chichester Festival Theatre which has seen stars such as Judi Dench, Patrick Stewart and Ralph Fiennes take to the stage, is highly recommended. Sport fans will also be in their element with a visit to Goodwood home to horse and motor racing.